The Red Hat team has made the deployment of Data Grid quite easy via exposing multiple out-of-the-box OpenShift templates. You can see the various choices available in GitHub. These templates use the same underlying image and are available at the Red Hat container images portal. 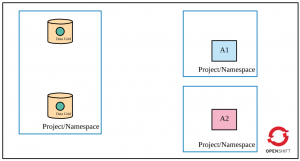 Different templates expose different parameters that configure Data Grid during deployment time. This makes deployment pretty standard and easy. The “HTTPS template” exposes a bunch of security parameters. Other templates do not define these parameters; however, you could use these parameters during deployment time. If you would like to practice the following recommendations (except for number 5), see JDG on OpenShift with Hot Rod and Security Enabled on GitHub. There, you can find code snippets and commands. Data Grid is deployed in cluster mode. Only app 1 (A1) is permitted to access Data Grid (via Hot Rod). 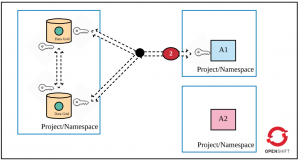 A cache is declared in Data Grid. 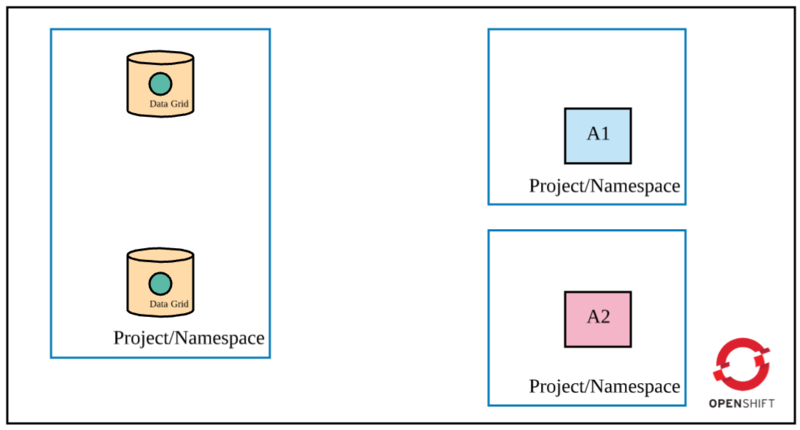 Apps and Data Grid are deployed in different projects/namespaces (they could be deployed in the same project as well). 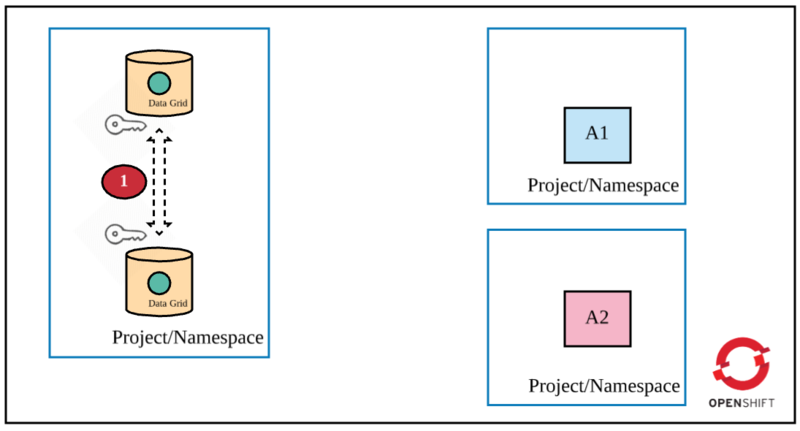 In cluster mode, you need Data Grid pods to communicate securely with each other. 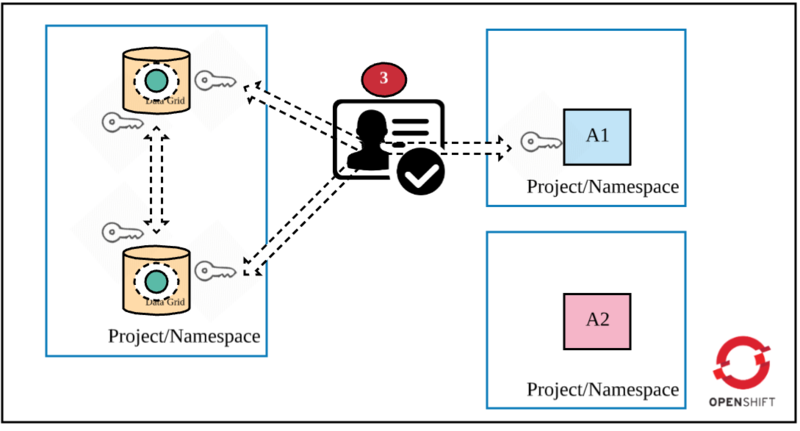 When A1 accesses Data Grid, the request to locate the key can land on any pod in the cluster. If that pod does not hold the key, the request is moved to another pod holding the key. Furthermore, it is important that any new pod in the Data Grid cluster should authenticate first and then join the cluster. Otherwise, you leave security loopholes in the Data Grid cluster deployment. Therefore, the first layer of security requires that Data Grid pods authenticate before joining the cluster as well as securely communicate with each other. 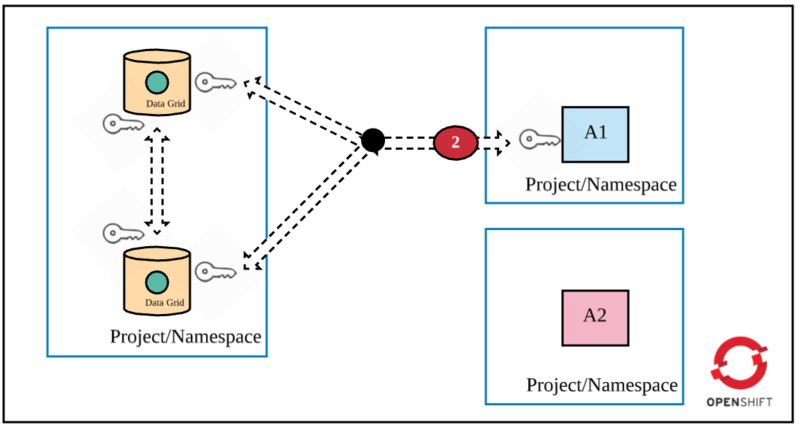 See Encrypting Traffic Between Clustered Servers to learn more about different types of encryption you could choose (SYM or ASYM). The HTTPS template automatically generates authentication credentials and stores them in the JGROUPS_CLUSTER_PASSWORD parameter. Pods use that parameter value to authenticate while joining a cluster. You could, of course, override this parameter while deploying the Data Grid cluster. 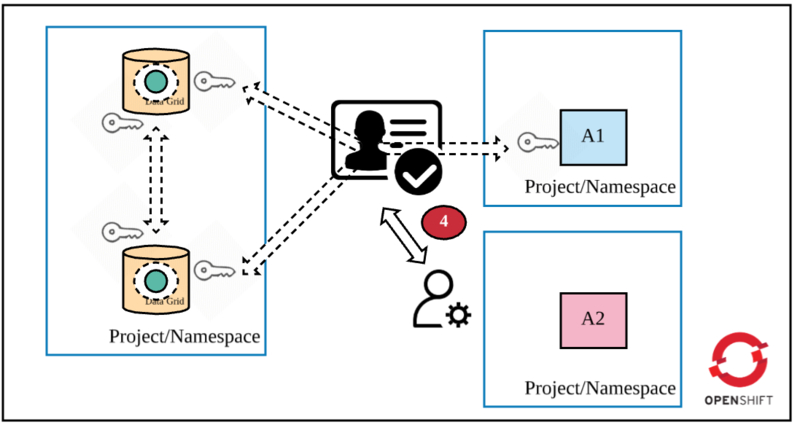 In the first scenario, an app accesses Data Grid directly via OpenShift’s service objects and, therefore, there is a need to deploy Data Grid in a manner that exposes a service URL as the “exposed” URL with encryption enabled. (Note that there are many ways to access Data Grid, namely REST and Hot Rod). 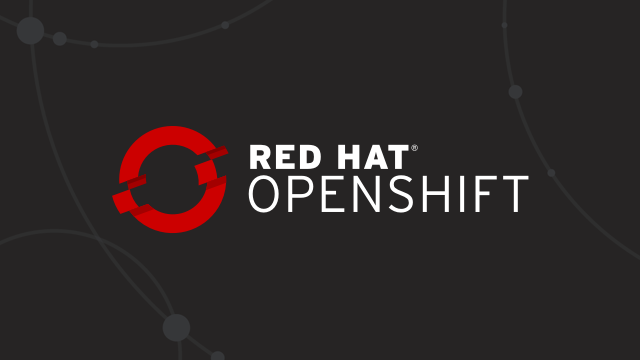 In the second scenario, the OpenShift operator should make a change in the Data Grid route object that just passes through the traffic at the OpenShift router. The traffic decryption would happen at the Data Grid cluster. The following diagram depicts the second security requirement. (Most of the time, you would not want to provide direct access to Data Grid to any app running outside of OpenShift). See Encrypting Client to Server Communication to learn more about this security recommendation. Now that traffic is encrypted, the next security recommendation is to authenticate a client application when it attempts to access a cache in the Data Grid cluster. The following figure highlights this requirement. Set the USERNAME and PASSWORD parameters (defined in the HTTPS template) during deployment time. 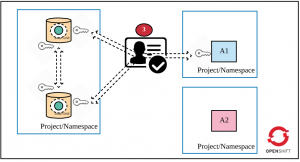 A client application can now authenticate against the Data Grid cluster, but you also need to define the actions a client can perform on the cache. RBAC controls would allow you to achieve this objective. 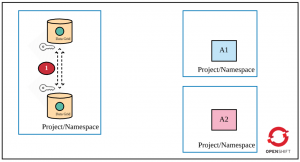 During Data Grid deployment, you could define custom roles and assign privileges to them. You can also map a custom role with a cache (you can create more than one cache while deploying the Data Grid cluster). 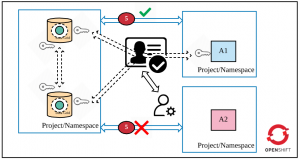 There are many ways to define authorization in Data Grid. See Red Hat JBoss Data Grid Security: Authorization and Authentication for more information. 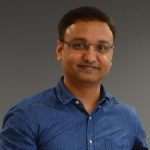 You should be careful while deploying databases/caches in container platforms because the platform is multi-tenant and your datastore could be storing sensitive information. If you would like to practice these recommendations (except for number 5 above), see “JDG on Openshift with Hot Rod and Security Enabled on GitHub. There, you can find code snippets and commands to deploy Data Grid securely on OpenShift.